Maine Maple Sunday is a long standing tradition where Maine’s Maple producers open their doors to their sweet operations for a day of educational demonstrations, tours, fun family activities and samplings of syrup and other great maple products. 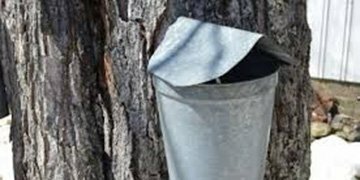 Plans for this year's Maine Maple Syrup Sunday have not yet been confirmed but Some sugar shacks extend the fun by starting on Saturday! More to come in the next newsletter about this! 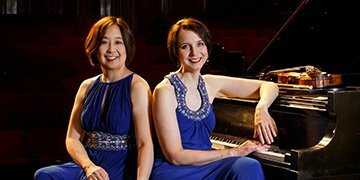 The Kobayashi/Gray Duo is in massive demand throughout the world for their performances of standard repertoire as well as works by more than twenty-five 19th to 21st century women composers. The Duo has two recordings of works by women composers – Feminissimo! Women Playing Music by Women (2008) and Boldly Expressive! Music by Women (2000). 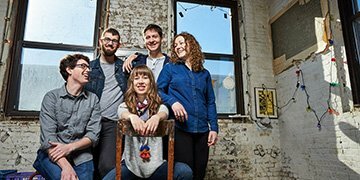 Bluegrass band Mile Twelve (Boston) teams up with with Roots band Low Lily (Vermont) for a double bill that will knock your socks off! Both bands formed in 2014 and grew out of the thriving Boston acoustic music scene. Both have toured extensively for the past four years, captivating audiences at festivals and halls throughout the US and around the world. Between Mile Twelve’s updated bluegrass aesthetic and Low Lily's modern approach to roots music, the sounds of the evening will vary from the high-energy festival vibe to more lyrical moments, and there may be a few surprises in store as well! Contact the Camden Opera House for ticket information. The Penobscot Bay Chamber of Commerce posts year-round events in Mid Coast Maine, Camden and Rockland. There is something planned for each season! The Windjammer and Lobster Festivals is in the Summer; Check out the link below to see what is what fun activities are happening in Camden during your visit!